Hervé Hélias serves as the Chief Executive Officer of Mazars Group, an international integrated audit & advisory Group present in 79 countries. His own career followed the fast-growing international expansion of Mazars over the past 30 years, which he joined after graduating from HEC in 1986. 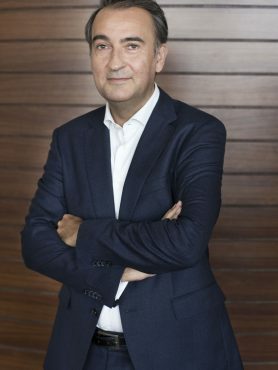 Signing partner of some of Mazars’ largest clients, including BNP Paribas, he has served as the leader of the audit service line, leader of Global Business Unit for Public Interest Entities, and became Chairman and CEO of Mazars in France, combined with the role of Group co-CEO in 2012. A founding father of Mazars University, his primary focus on making Mazars a great place to work for is reflected in his permanent commitment to the development of Mazars’ talent strategy and to the grooming of a worldwide community of united leaders.